Hi everybody.. I'm looking build suggestions for my modular system. I'm looking forward to make techno percussive rhythm sounds and baselines. What would you suggest me to consider? I would like to have Roland system 1m for my core sound source because it gives me all basic modules that I need to make something and also saves the money. Maximum 84 hp space for suggested modules. Thanks, M.
Basimilus Iteritas Alter by Noise Engineering is an absolute must for this, plus the Mutant Drums. The main question will be: how will you sequence your drums? If you want to do it without external gear, Surgeon uses either Trigger Riot or Circadian Rhythms, which both demand alot of real estate (28HP and 36HP respectively). The alternative is something like BeatStep Pro. 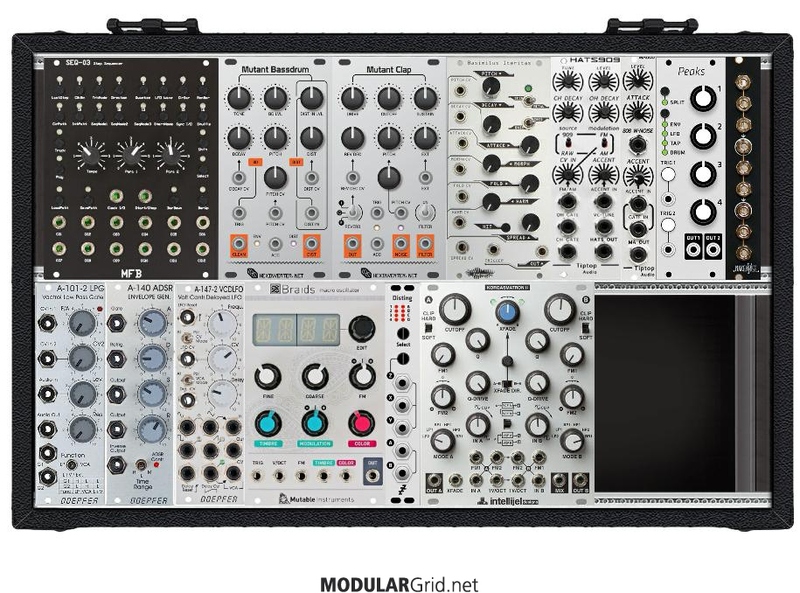 If you google image search for "Surgeon Modular" you can see his 208HP racks. Ok so my mg modular looks like this... what do i miss ? what mixer do u suggest?